The patented SecureClamp™ assures a secure sealing mat closure when vapor pressure conditions may cause lifting of the sealing mat. Lifting of the sealing mat may occur during mixing/vortexing, overnight autosampling or extended sample storage. Optional access cavities allow for sampling while the SecureClamp™ is in place. SecureClamp™ is a customizable sealing enforcing mechanism which can be designed for specific sizes and configurations and can be made from a variety of materials. SecureClamp™ Spring Clamp,Top Plate w/ 96 Well or 384 Well Sampling Holes in Top Plate. The Universal SecureClamp™ with its adjustable height capabilities allows one to use different plates with various heights or plates with wide tolerances as well as securing drain port sealing mats to filter plates. 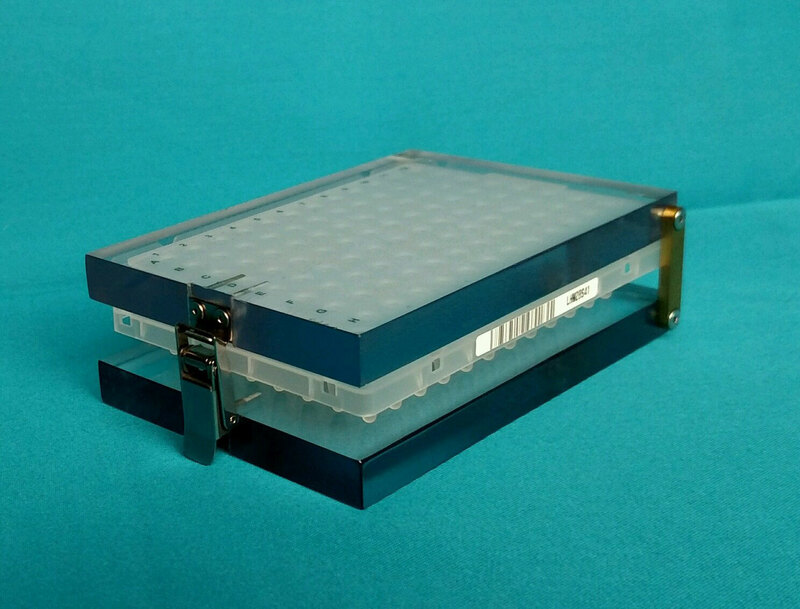 The SecureClamp™ can also facilitate library synthesis in both multi-well plate formats and vial arrays. The variety of SecureClamp™ options allows for quickly securing the seal on multi-compartment reaction formats. SecureClamp™ with Dual Toggle Springs for securing seal on 24 glass vial array. 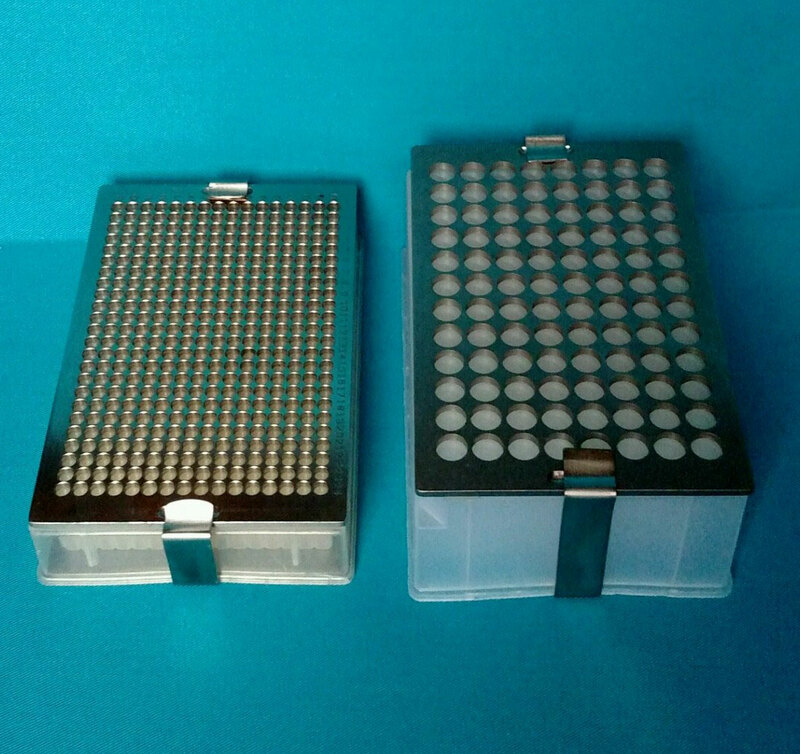 2) For Filter plates, first apply sealing mat to the drain ports of the filter plate. 3) After charging reagents and solvent(s) to the wells, apply top sealing mat. 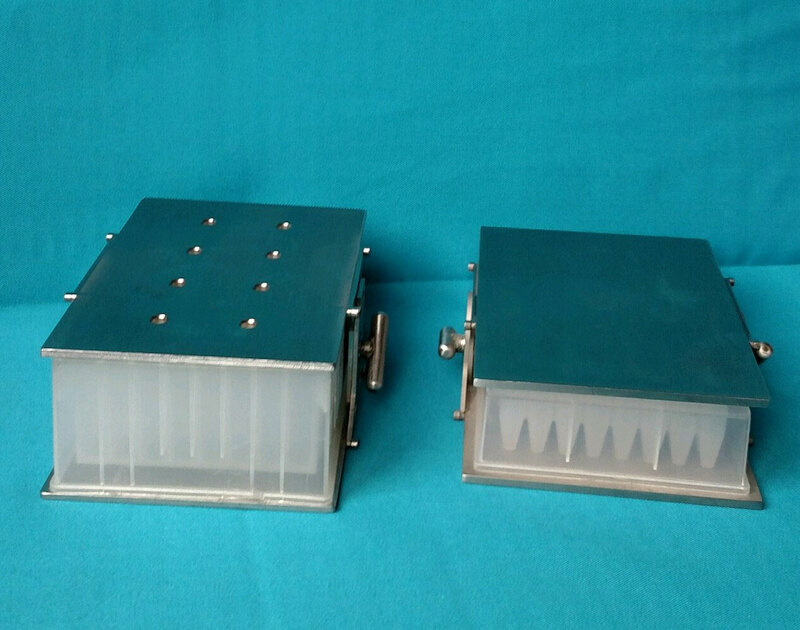 4) Insert sealed filter plate inside Universal SecureClamp. 5) Depress top plate to top of filter plate, and tighten thumb screws. SecureClamp now fastens down sealing mats to the plate. 6) The Universal SecureClamp will secure sealing mats to a variety of plate sizes. This patented device allows for the sealing of multiple vials in one single step. 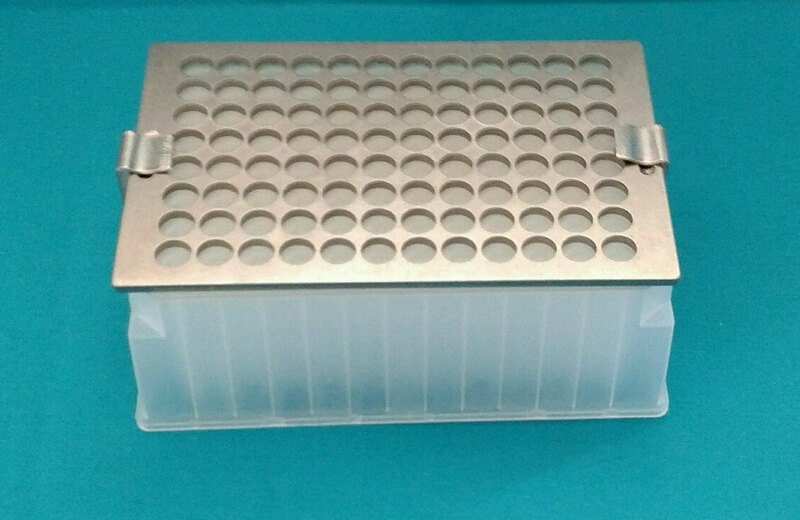 This eliminates the need to apply screw-on caps to each individual vial, saving time and money. 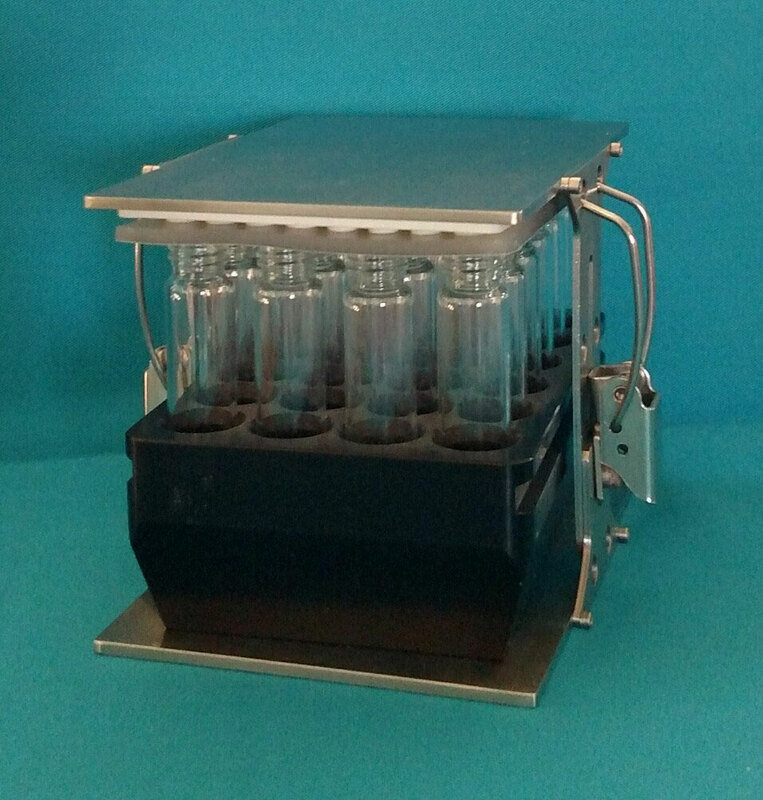 The SecureClamp can be customized to accommodate any vial size and configuration. A 4X6 array of 8mL glass vials in an aluminum block. Insert vial array into SecureClamp. Slide sheet of silicone w/ Teflon Film over glass vial (Teflon Film on liquid contact side). Sealed glass vials are ready for next step.